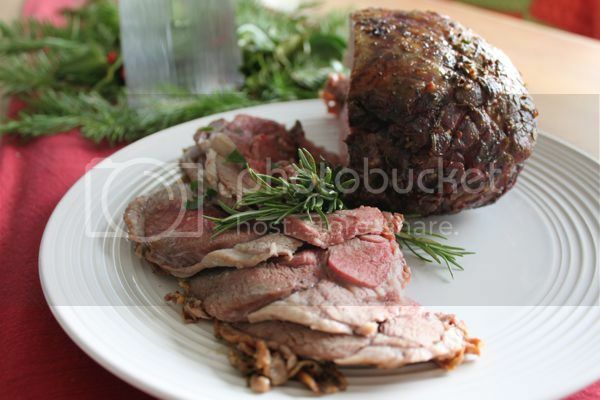 Leg of lamb is a cut of meat especially suited for holiday celebrations. 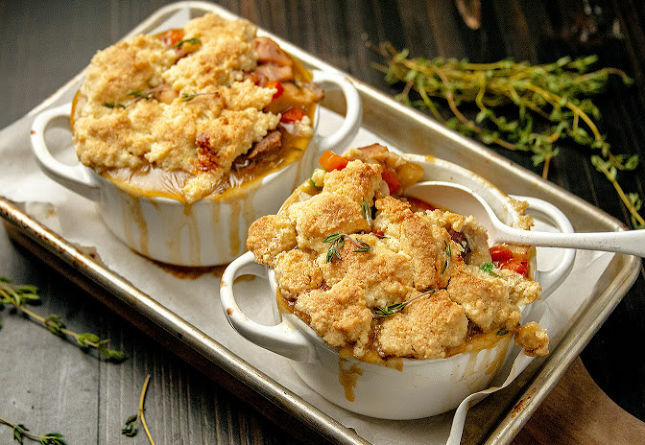 Lamb is comforting and festive, rich and hearty and fills the house with a lingering, savory aroma that will have people hovering around the oven waiting for dinner. 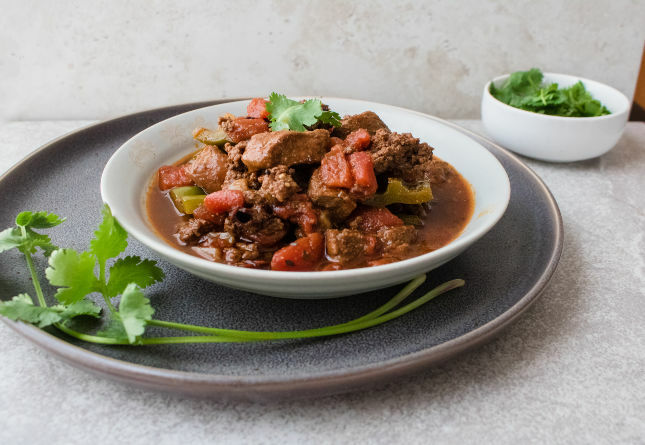 Lamb is a nice break from more commonly served meats like beef and pork and it’s agreeable to countless combinations of herbs and spices. 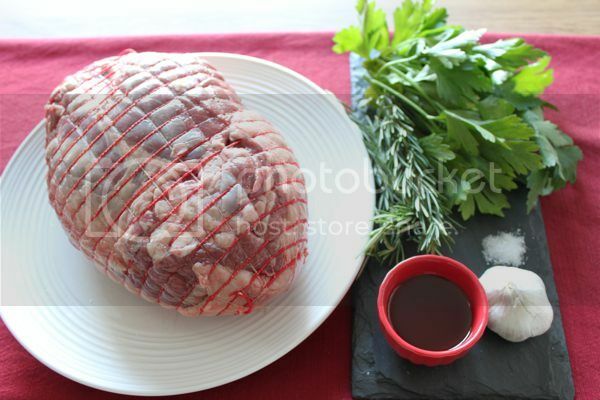 Leg of lamb is sold with the bone or more commonly, boneless. The big advantage of boneless is that it’s really easy to carve and cooks more evenly since the size is slightly more uniform. However, even with a boneless leg of lamb it’s likely that the meat will come out of the oven with different levels of doneness. The edges will be crispy and cooked through to medium and the very middle will be pink and juicy. Yet another reason leg of lamb is perfect for large groups – there will be a slice that suites everyone at the table. 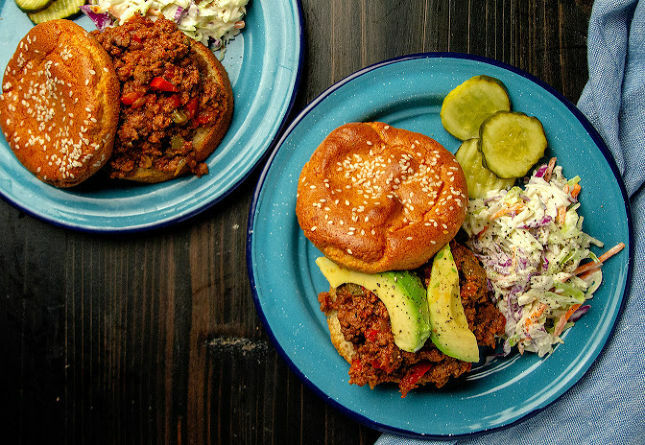 Lamb pairs well with many different sides. Roasted root vegetables, sautéed spinach and sweet potatoes are especially good. Bring the lamb out of refrigeration an hour before cooking. Rub the whole leg down really well with the herb mixture. The leg might be held together with netting – it’s easiest to keep this on and rub around it. If the meat isn’t held together with netting, use kitchen twine to secure the meat so it holds together while it cooks. Put the lamb on a rack over a roasting pan filled with 2 cups of water. For easier clean-up, consider covering the bottom of the roasting pan with foil. Let the meat cook 30 more minutes then check the temp of the meat in several places at the thickest part. When the instant-read thermometer reads 125 the meat is rare; 130 for medium rare. When the middle is medium rare, the outer edges of the roast will be medium. 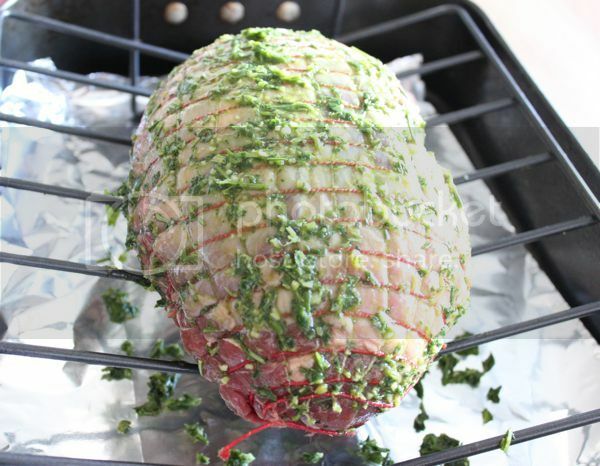 Remove the meat from the oven and let it rest 15-20 minutes before carving. That’s funny – hadn’t had lamb for ages, but just had it for lunch today! Hmm generally I leave my lamb cooking to ground lamb because its easier but this looks intriguing. I have heard lamb is great when cooked properly but twice I tried and failed (different cuts) and its a bit expensive to mess around with so I tend to eat it out at ethnic restaurants. Wow this looks really really good. I think the herbs make it! Coincidence! Was just looking up a recipe for our leg of lamb we are making. We are also making a standing rib roast… Yum!! Thanks and Happy Holidays, everyone! 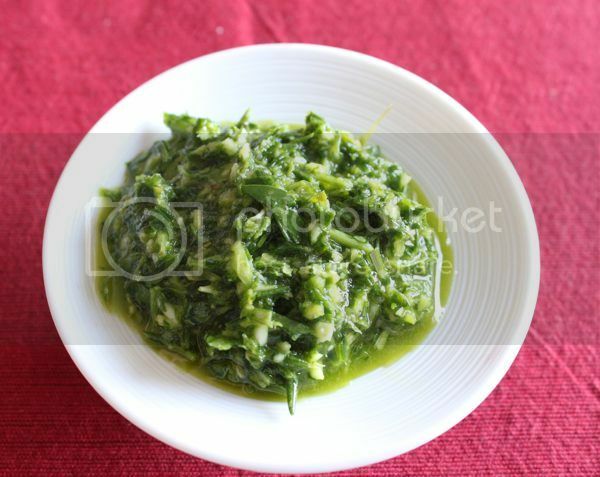 I really liked the way you have presented the recipe with nice images and perfect how – to. Can anybody recommend a good roasting pan and rack? I just got a big ol’ Australian leg on sale at Giant the other day, what a coinkydink! Instructions worked out perfectly. I’m now the proud mama of perfectly roasted hunk o meat. Delicious. For ~5lbs, after the initial 30 minutes at 425º F, it took an additional hour at 350º F. I let the probe thermometer do the timing. I use this roasting pan – http://store.calphalon.com/calphalon-contemporary-stainless-16×13-5×3-75-in-roasting-pan-with-rack/403913 It’s a tad large for smaller pieces like this but it still worked great. Thanks for helping me get over my lamb roasting fears, I see a lot more of it in my future eats. This was delicious! We threw the juice of one lemon into the rub, as well, because our little Meyer tree is overly productive. Yum! Hey, I have a stupid question. Is it safe to keep the netting on while baking? It looks like it’s made of plastic. 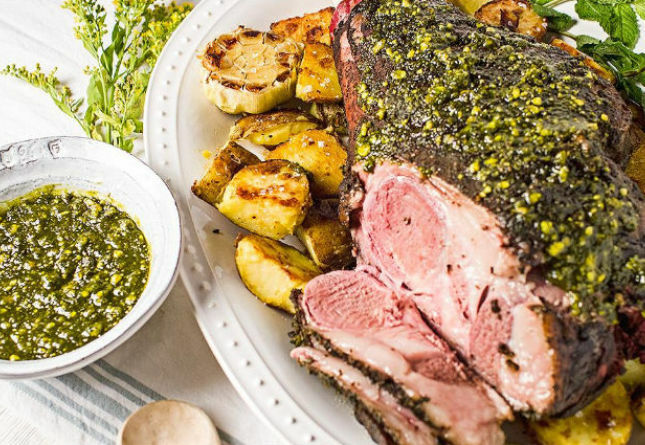 This is my third time making this and this is the perfect lamb roast recipe. I suggest trimming some fat before rubbing it up. Lambs are faaaaaaaaaat.